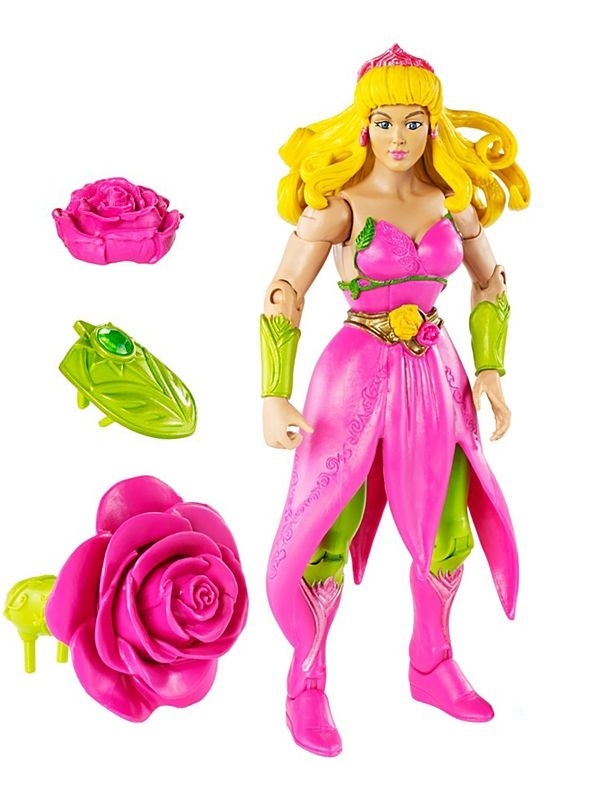 Born on Etheria in an enchanted flower garden far, far away where sunflowers sang and daffodils danced, Tara was taught by the magical flowers to put people to sleep. 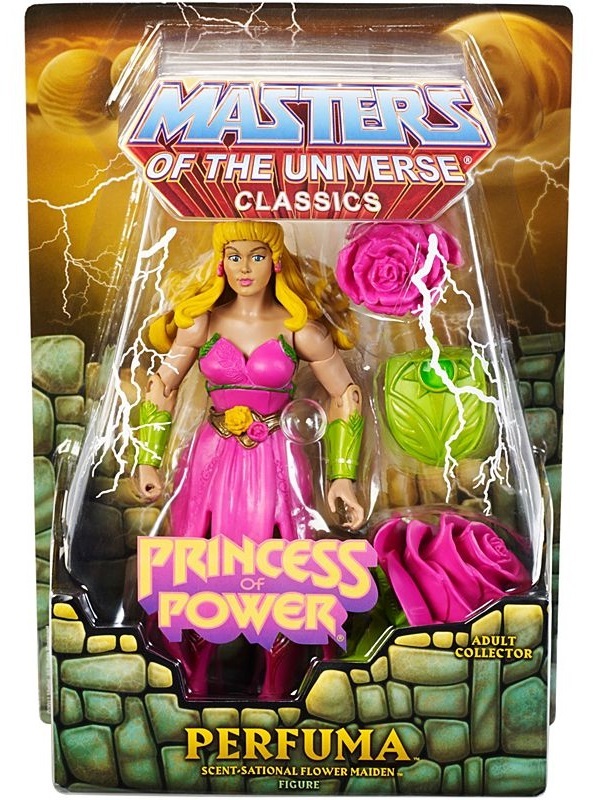 She now uses this secret power to help She-Ra and the Great Rebellion. 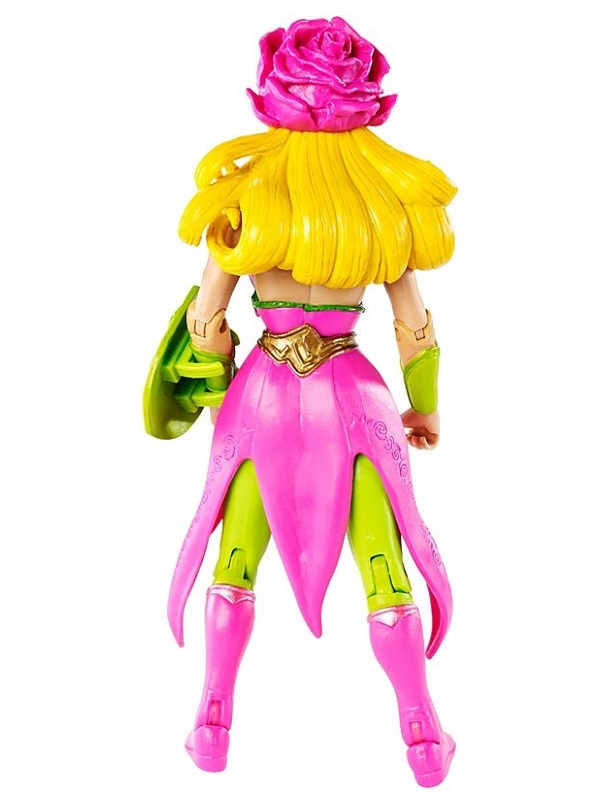 Whenever Catra and the evil Horde try to make mischief she opens her petals into a beautiful blossom. As soon as enemies get a whiff of her perfume, all they want to do is fall into a deep slumber. 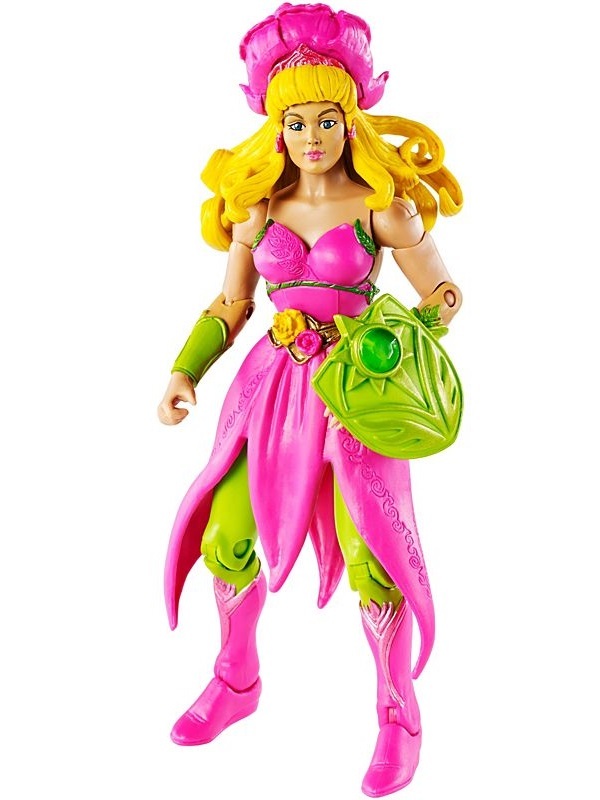 She later used her power on Eternia, traveling with She-Ra to join the heroicMasters of the Universe® in the continuing battle against Hordak. With the power over everything that grows, Perfuma’s enemies come near and are put to sleep with her floral aroma. 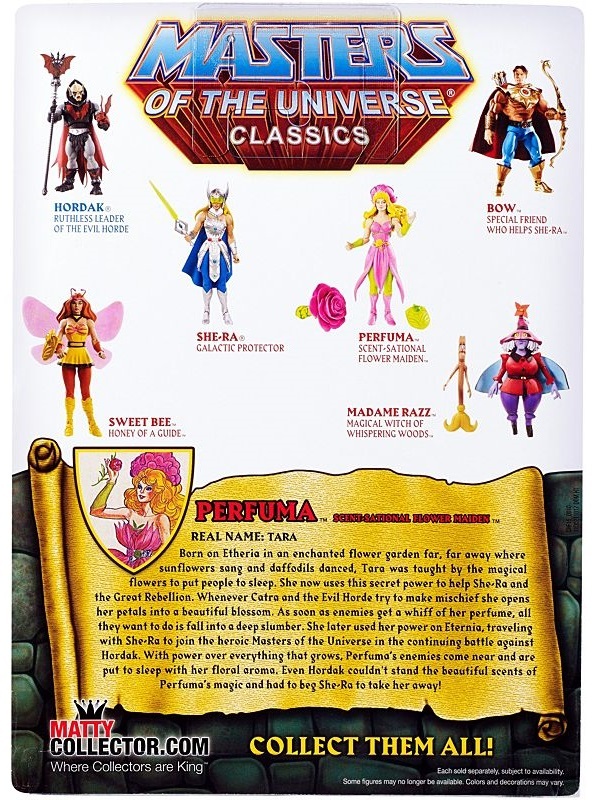 Even Hordak cannot stand the beautiful scents of Perfuma’s magic and had to beg She-Ra to take her away!